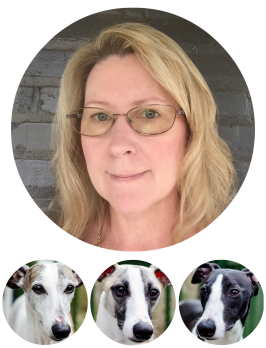 My husband gave me two whippet puppies for my 40th birthday. 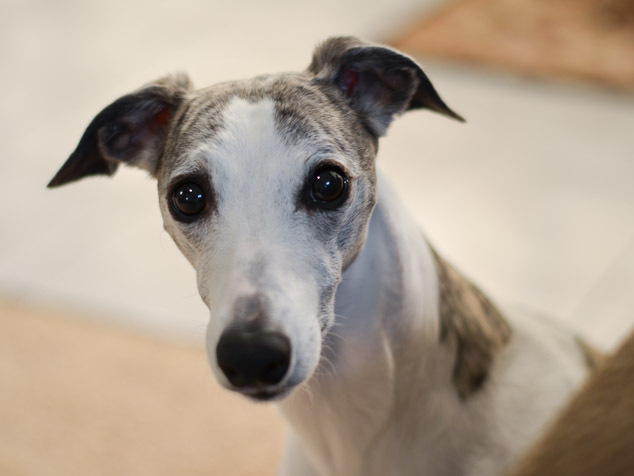 It was literally my whippet dream come true. The puppies were littermates and they were the litter. Lexie was the first one I saw when I came home and was surprised with them. 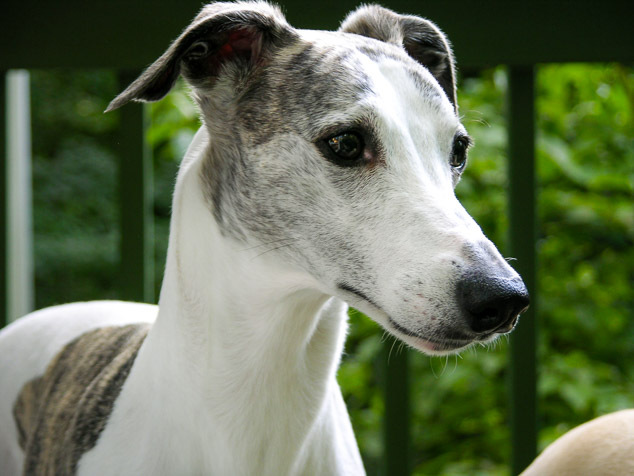 She became our energizer whippet because of her on-going desire to play. Lexie devoured food. I called her a dog vacuum because of how fast she ate, almost like sucking it in. I believe it was caused by her mom’s milk drying up right after they were born. The breeder said she found Lexie lying on her back with her feet straight out. It was how she knew something was off with the mom. They had to be hand fed with a bottle. One positive side effect is both Lexie and Trixie got used to being picked up and handled at a very early age. Anyway, my theory is something triggered in Lexie’s mind about eating to avoid starvation. Lexie enjoying a sunny day. Her play drive was intense. She would come and stare at me relentlessly to tell me it was time to play. 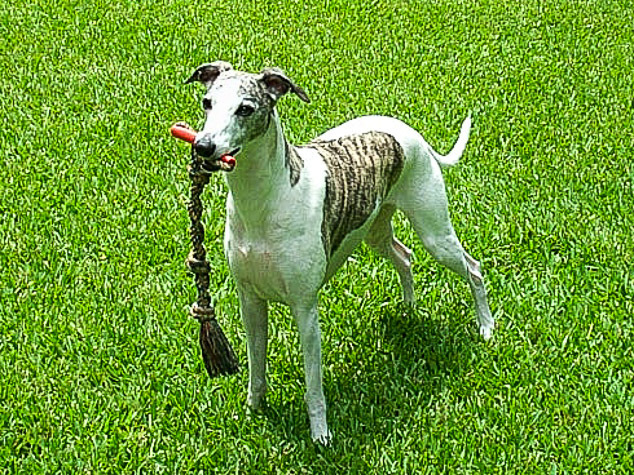 Our energizer whippet would do this quite often, almost daily. At least it got me off my derrière and out in the fresh air. Her absolute favorite type of toy was a rope toy. We had many of them for her yet she always seemed to pick one out of the bunch to play with. Lexie with her favorite rope toy. She was a momma’s girl. Right near me is where she would be when I was home. I could count on turning around and seeing her big eyes looking at me. Lexie always looking at me with those big, sweet eyes. Curious was another one of her traits. 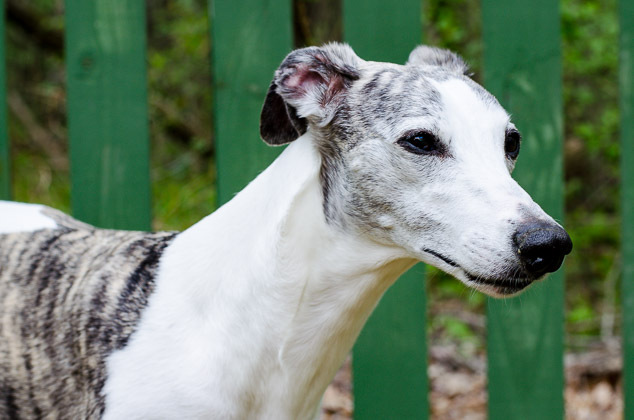 It’s a typical trait of a whippet. No matter what I was doing, she had to investigate. 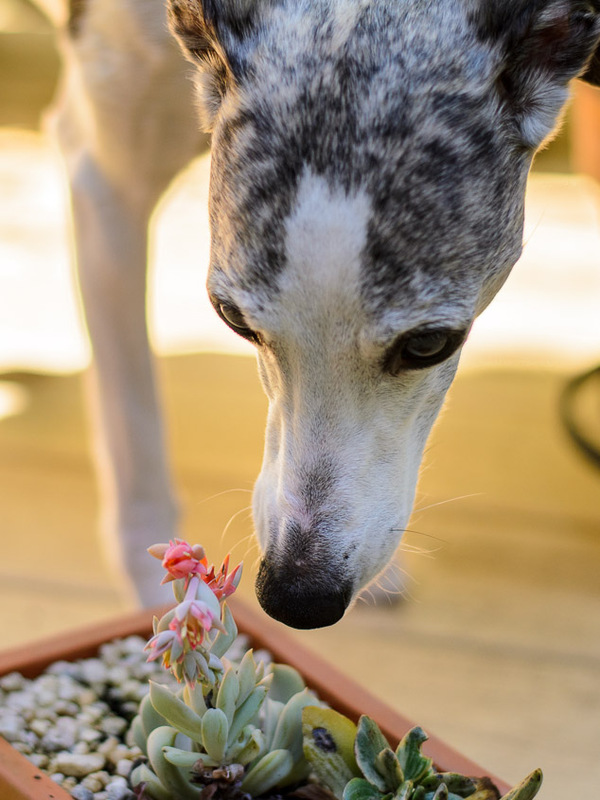 This is one of my favorite photos of her investigating some succulents I just planted. Lexie was always curious and investigating. Lexie was a hunter. I lost count on how many rabbits and squirrels she caught. She was so fast and agile. She could spot one from our bedroom window, run through the house, out through the sunroom, down the full flight of stairs, and catch one before it got to the fence. It was like watching National Geographic in my own backyard. Lexie always on the hunt for squirrels and rabbits. One night Lexie hopped off the couch and collapsed. She was completely out and stiff for a few moments then started to move a little. I rushed her to the emergency vet. It was diagnosed as a possible heart condition. The next day our regular vet did an x-ray and it showed she had an enlarged heart. We took her to a specialist who put her on some medications. Lexie was with us for about another year. We knew her time was near when she didn’t want to play and moved very slowly. Our energizer whippet had run out of energy. The last sign was her appetite went away and she didn’t want to eat. We had to say goodbye to her the day before Thanksgiving. She was on my lap and she looked up at me one last time with her big, sweet eyes. It broke my heart to see her go. I swore I couldn’t go through it again. No more dogs. Ever.